Today we welcome Kristin from Pea Pod Creations. She's sharing a very important technique if you are making pants...or anything else with elastic or a drawstring. And how in the world to I make one? I've totally asked myself these very questions when I started sewing....don't you just love when you are reading a tutorial and you think to yourself "I'd really like to make that, but I don't even understand the terminology?" Hopefully, this little post can help you out with that. First off.....What IS a casing? Well, a casing is a channel made in a piece of fabric for inserting elastic or a drawstring. 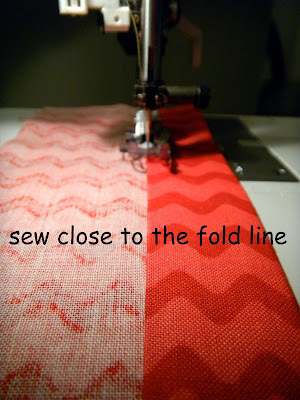 A casing can be made by turning the edge of the fabric over and sewing it down at a specific distance from the edge or by applying another piece of fabric such as bias tape to the desired location. 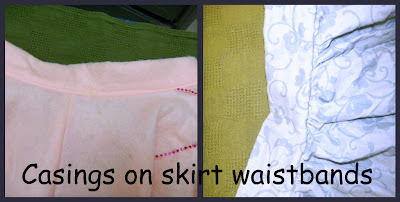 Casings are frequently used at garment waistbands and cuffs. The first time I used a casing (that I can think of) was to make simple pillowcase dresses....You need a casing at the top of the dress to thread elastic through. 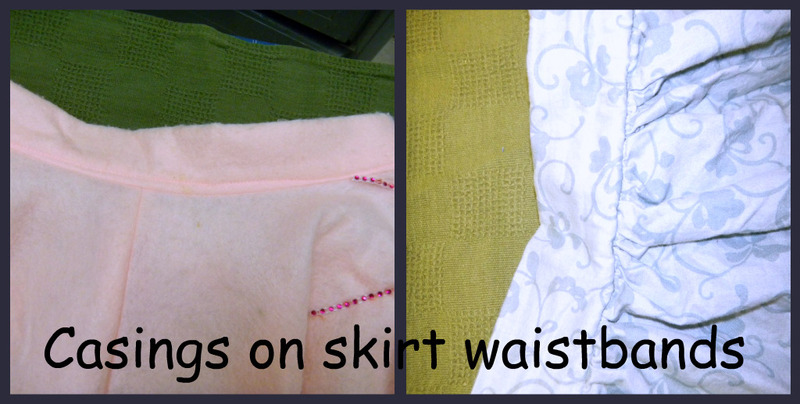 I've also used casings every time I make a waistband in a skirt or pair of pants. .....SO.....how do you make a casing? 1. Determine how wide you need your tube to be. If I was adding a 1/2 inch or ribbon or elastic through my casing I would need to make sure my 'tube' was just a little bit bigger then that. By having it a little bigger the ribbon or elastic can lay flat in the tube....Bunchy elastic is NOT so good ;-)....That being said if the 'tube' is too big the elastic or ribbon can turn and twist in the 'tube'. 2. 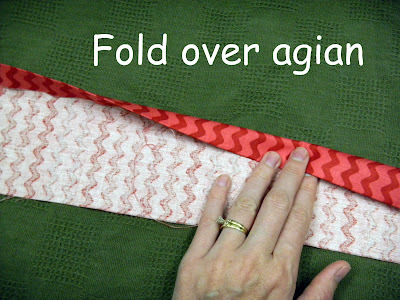 Start by folding the fabric over one time. The first fold can be a little less then the desired amount....For example, if Im still adding my 1/2 inch elastic, then my first fold would be about a 1/3 inch. 3. Iron down....Why? because it just makes things easier! Trust me. 4. Fold over again. This time fold down about 3/4 inch over. 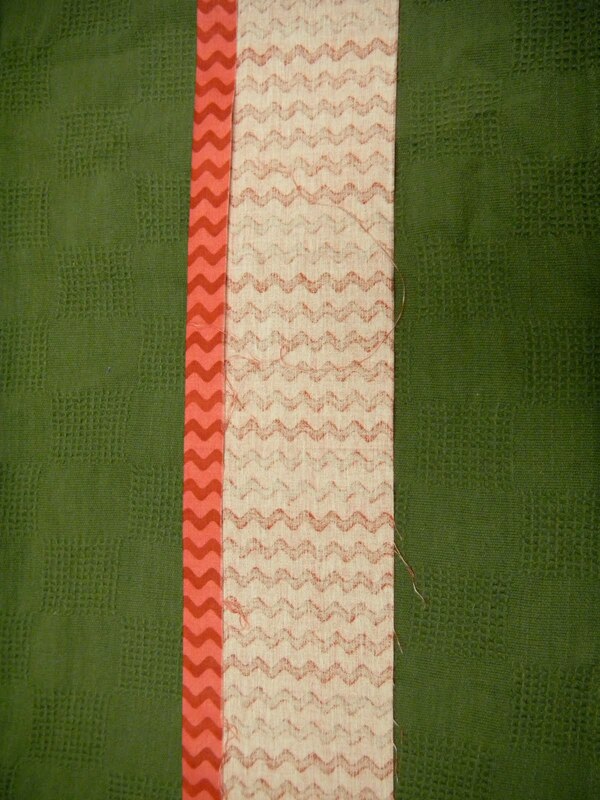 (This fold needs to be bigger then the elastic or ribbon). Why did I fold it over twice? because now the raw edge (or edge that frays) will be nicely inside the tube, and you wont have to worry about your material fraying when you wash it! 6. Now you need to sew down close to the folded line. Keep it close to the fold, and keep it even. 7. CONGRATS YOU ARE DONE! hmmm....not so sure how you are going to get that piece of elastic through that little teeny tube? 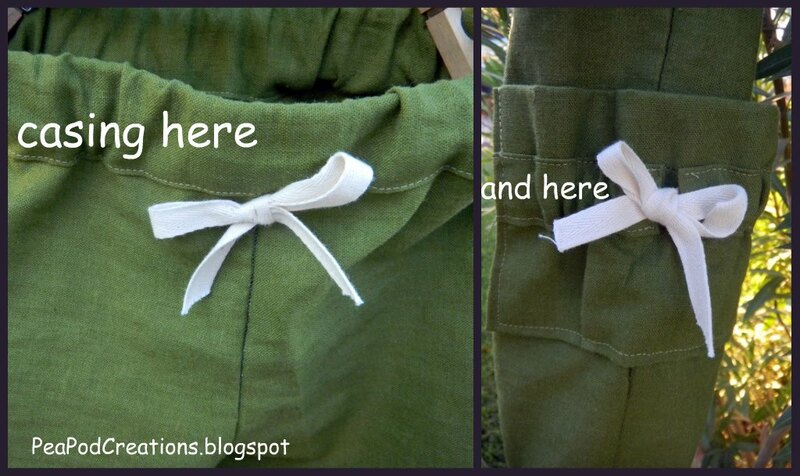 Add a safety pin to one end of the elastic, it makes it a lot easier to thread the elastic through. Thanks Chris for having me guest post! 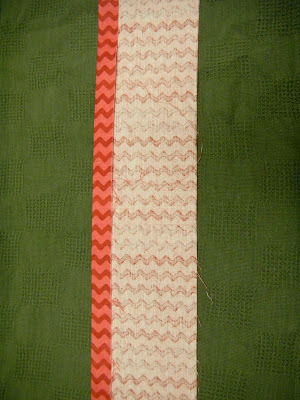 Thank YOU, Kristin for a fabulous tutorial on making a casing. Please visit Kristin's blog and see all the fun things she's done including this dress she made her baby, and a great pillow you change with the seasons.